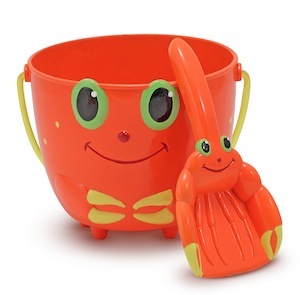 The Melissa & Doug - Sand Pail & Scoop Toys includes a crab-shaped scoop and a sunny red-orange, crab-face bucket perfect for a day at the beach or sandbox. 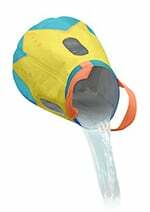 This beach toy will be a delight for children 2+ years old who want to dig for treasure at the beach. Melissa and Doug beach toys are easy-to-use and sturdy.